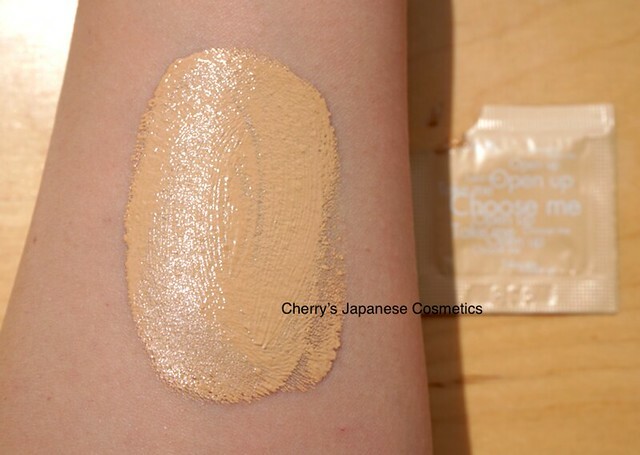 At AW 2014, RMK changed RMK Creamy Foundation to Creamy Foundation N.
Few years ago, I (Cherry) used RMK Creamy Foundation, still Creamy Foundation N is the same square bottle shape. Anyway, we got a sample of new RMK Creamy Foundation N, let me share with you my review. 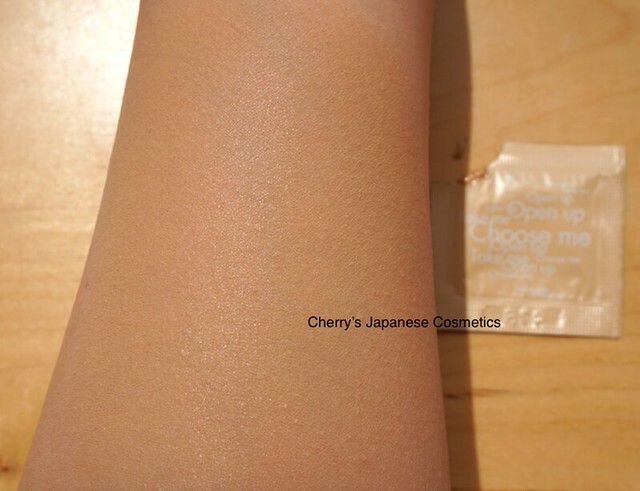 Let me apply this foundation on my naked arm at first. The color is #102, the standard shade for Japanese. If you are North-Eastern Asian, our recommend is try this #102 at first. I thought it is a little bit harder than I had expected. It is the difference between Creamy foundations and Liquid foundations that runny or a little bit harder. You can choose the texture which you like. Uh, that’s enough isn’t it? Could you see uneven skin tone on the pictures above? I guess this is really nice covering. It maybe middle to full coverage. I had used RMK Creamy Foundation, #103, it was good when I obtained, but frankly to say, it was darker when I had done with this. 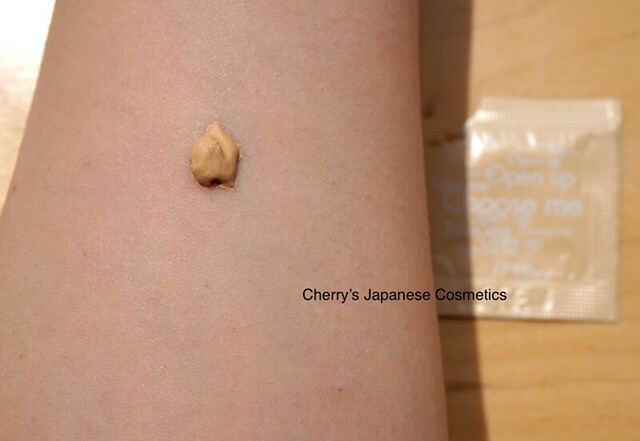 We Japanese girls change foundations each seasons, for example, I am using powder foundation during late May to mid Sep, but other seasons are with creamy foundations. Sometimes we change colors too. Our skin tone and colors are different from everyday, and we often mix colors on my hands to find the best color. Checking what Japanese reviewers are saying, seems this jar is a little bit bigger than the previous, and especially the hole is bigger and easier to use. Nice solution! Check the latest price and order from here; “RMK Creamy Foundation N” or Wanna order in Japanese Yen? Visit our JPY Branch!